Press and hold the Volume Up button. 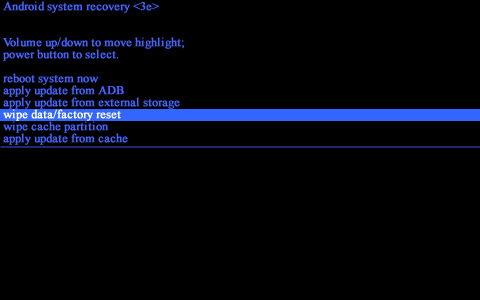 While continuing to hold volume up, press and hold the Power button until RECOVERY BOOTING appears (upper-left) then release. 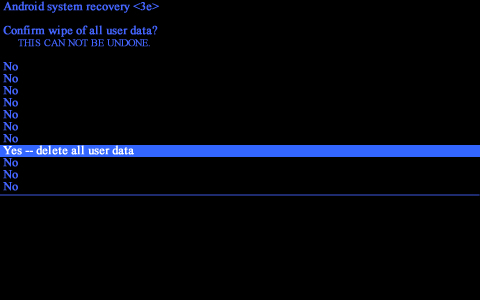 From the Android system recovery screen, select wipe data/factory reset. Utilize the volume buttons to cycle through the available options and the power button to select. Allow several seconds for the factory data reset to complete. 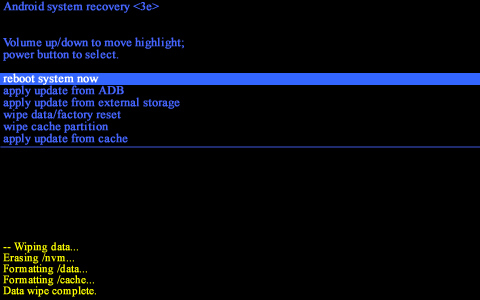 Allow several minutes for the reboot process to complete.